Eric Miller is a marketing professional with experience in creative writing, journalism and corporate communications. He has been writing in some way, shape, or form for nearly all his life with plans to eventually publish a novel or screenplay. 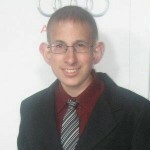 He is also an entertainment enthusiast with the latest news on movies, pop-culture, and events. A born and bred resident of the Baltimore Metropolitan area, he enjoys visiting the Inner Harbor as well as traveling the country, watching movies, and experimenting with mixed drinks. He is currently a member of the Sundance Institute, American Film Institute, and Maryland Film Festival.